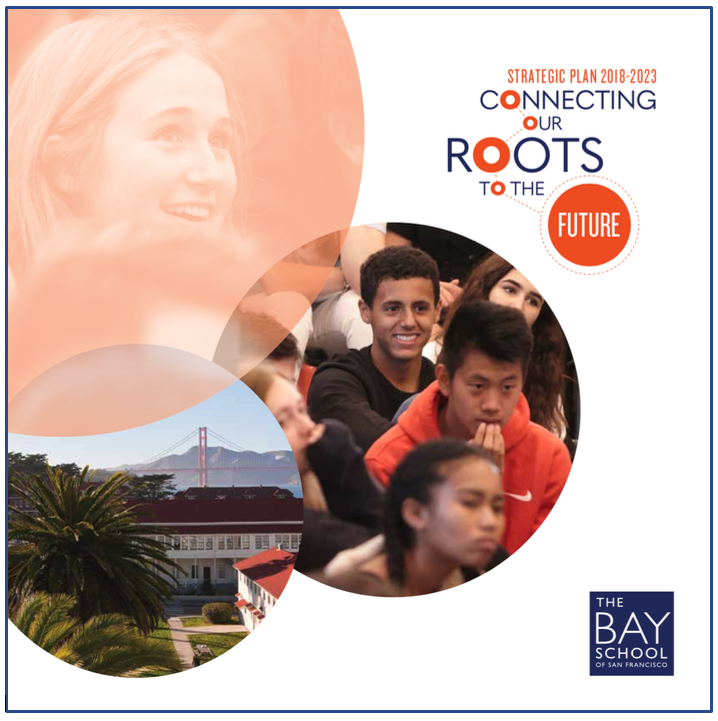 It is with great pride that we share Bay’s strategic plan, Connecting Our Roots to the Future, to guide our school’s evolution through 2023. This framework for innovation and action was developed through a two-year, inclusive, iterative process rooted in Bay's founding values and vision. Bay continues to be a national leader in secondary education, from our commitment to interdisciplinary and experiential education to a mindful culture of kindness. Each of the five pillars of this plan and their related strategies are mission-aligned and drive to the heart of the student experience. We invite you to be a part of our continued progress and look forward to sharing the successes of the future with you!